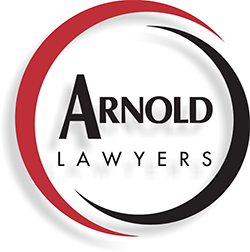 Arnold Lawyers is committed to providing its clients with sound legal advice and practical strategies without charging you the earth. At the commencement of your matter, you will be provided with a costs agreement which will let you know up front what our charges will be and how they will be calculated and also provide you with an estimated range of what your legal costs will likely be. That way, you will be able to plan ahead with the peace of mind of knowing exactly where you stand financially. Pay as you go – this arrangement enables you to pay by installments for expenses that are payable either in advance or as and when they fall due. This alleviates you being in the position of having to paying a lump sum at the conclusion of your matter. Payment in advance – in some circumstances and depending on the type of matter we undertake on your behalf, it may be necessary for you to pay an agreed amount for our legal costs in advance. In addition, we are also able to assist you with obtaining funding through external legal funding companies. Otherwise, you may be entitled to Legal Aid for payment of your legal services. Please see Your Options for Legal Aid for more information in this respect. For further information in respect to our billing and payment options, do not hesitate to contact one of our qualified and experienced team members.